We think that it’s important for you to understand how CBD works in your body. 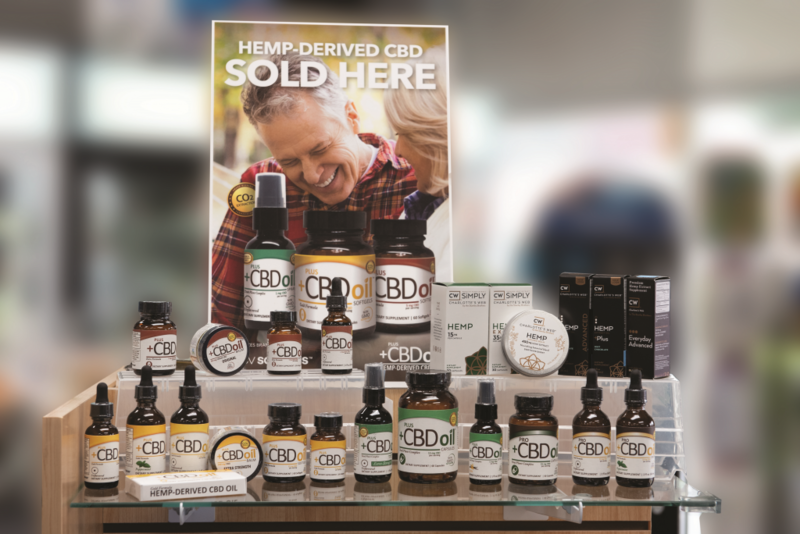 While much of this information is in “laymen’s” terms, it should give you a sound grasp on the concepts of CBD and how it could work for you. We selected CV Sciences Plus CBD Line based on their quality of sourcing, processing, chemical analysis policies, and third party independent testing. CV Sciences has been a pioneer in the hemp industry and continues to support scientific case studies and the legislative movement to make CBD available nationwide to consumers. Do not get overwhelmed by the information, and feel free to call us with any questions! We’re here for you! What exactly is CBD, and how can it help my body? Your body produces Endocannabinoids (bear with me here! ), these are “messengers” that are isolated from the brain and peripheral tissues that communicate using cannabinoid receptors located throughout your body. In order for these messengers to convey information, you must produce a healthy supply and the receptors must be healthy and active. Unfortunately, through the natural course of aging and due to many outside factors that cause stress to our operating systems, our production of endocannabinoids may no longer be sufficient. This is where Phytocannabinoids come into play. Cannabidiol (CBD) is a phytocannabinoid whose molecules very closely resemble those of your Endocannabinoids. CBD can often step in and fill the gap in your messaging system, creating the potential for better reduction in pain & inflammation, a stronger immune balance, and for some a better response to and recovery from stress and anxiety. Think of a giant puzzle with some missing pieces. Your brain can pretty much tell what that puzzle picture is …but still, with those missing pieces the message isn’t clear. CBD is able to sharpen the picture and fill in the gaps. As the CBD is slowly introduced to your system, the receptors begin to recognize that activity and the presence of the chemical that they are designed to receive and “wake up”. Once there is some reactivation of the receptors, your body has an increased ability for “cross system” communication… in other words, get more accurate messages to the correct locations. One of the most important things to be very clear on is that there is no ‘across the board’ dose for Plus CBD Oil. The very best way to find the amount of CBD that will be effective for you is to begin at ZERO and slowly work your way up. It is also good to recognize that the needs of your body are not exactly the same each day. Most people find an average daily dose that is helpful but they also acknowledge that on some days, the dose needs to be increased a bit due to variables such as changes in the weather, pain from ‘over doing it’ a bit, or a stressful event. 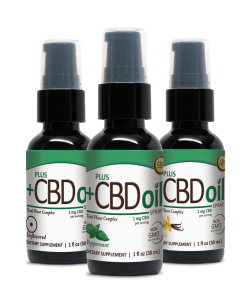 The spray or oil applications allow you to begin at the modest dose of 3 to 6 mg of CBD and increase very gradually over a four-week period. This slow introduction greatly increases the chance that you will experience as much receptor activation as possible. If you begin at higher doses prior to ‘nudging’ your receptors you may be wasting some of the CBD. There is no advantage to starting at the highest dose. Once you have established your “foundation” dose, then you can decide which format will best serve your needs. Capsules & soft gels are available in 5, 10, or 15 mg dose. We believe that placing the oil under your tongue provides the best absorption. We even have an ointment if you have targeted issues with one joint. There are also those who find that a capsule in the morning and a few sprays or drops in the afternoon provides their custom dose. Remember, everyone is different. In the end, you are using the four-week introduction to slowly wake up your body, setting the stage for best results, and finding the optimal dose for your targeted wellness issues. Using the chart is simple. Take a look – start at the first row (½ dropper at bedtime) and slowly increase according to the schedule. Rushing through the dosing schedule does not provide any additional benefit, and may cause you to waste the CBD oil that you’ve invested in. Pay attention to your body. Maybe there are certain areas of your body that really hurt every morning when you wake, or prevent you from falling asleep at night, or flare up when you engage in a specific activity (reaching up to get something from the kitchen cabinet, swinging your leg up when you get onto your bike). Pay attention to these as you move through your first days using CBD. If at any point you feel that some of this pain that you have become used to is changing or reducing, make a note of this on the back of your chart. If at some point you realize that you are just feeling a bit better in general, make a note of this. You can ‘pause’ your trial at any point and REPEAT that same dose for a few days to determine if that is a good daily dose for you. (i.e., on day 10 you really feel a reduction in pain… rather than moving onto day 11 you are going to do the Day 10 dose for 2 or 3 days. Maybe this is your dose? Has your pain gone from a level of 10 to a level of 6? Or less? Is your stress response easing up? Anxiety diminishing? Sleep improving? If you have experienced a reduction in pain or anxiety but would like to see if you can get an even better result, then go ahead and proceed with the remainder of the four-week schedule. Once you have determined your best dose, then you can choose which format is best for you. The dosing trial is meant to end at the four-week mark. If you have had little to no response at that point, then there is a chance that CBD may not be a good tool for you. We have had a small handful of customers with severe debilitating pain who have continued past the four-week period and ultimately found the dose that worked for them. You may make this choice on your own. PlusCBD & your prescription medications: With rare exception (e.g., blood-thinning medications or opioids), there is no conflict with medications during the four-week dosing trial. If you find that CBD is a good tool for you and you are interested in ongoing use, then it is wise to speak to your prescribing physician. CBD makes use of some of the same pathways in the body that many common medications use. Over the long run this “competition” for pathways may lessen or increase the effectiveness of a medication. Your physician can monitor this at your check-ups and make dosing adjustments if needed. Do not make these adjustments on your own. If you are taking a specialized medication or have an acute health condition with related medications, please speak to us about this prior to beginning your trial.